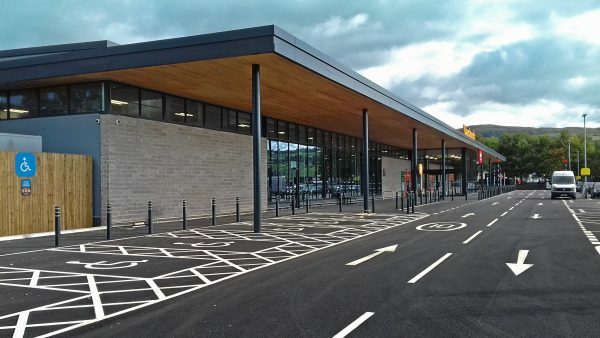 The new Sainsbury’s superstore in Kendal for client Morbaine Limited has opened its doors to the public. The building is located on Shap Road on the site of the former Kendal Wasps Rugby Union Club with construction beginning in September 2017. The store comprises of a 4 pump petrol filing station with an in store Argos and Specsaver Concession. The total footprint was 80,000 sq ft with a 50,00 sq ft nett sales.